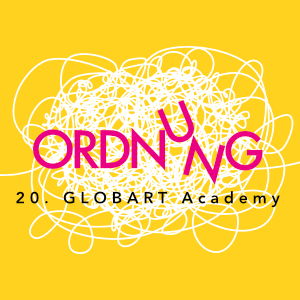 The GLOBART ACADEMY is an interdisciplinary experiment and a unique experience. This experience is hard to explain- you have to undergo. It is a diving in, in a great topic- intellectual and emotional. At the end of the GLOBART ACADEMY we wish for a lot of young and motivated people, reflected, thinkers which are, or going to be, proactive. It is an interaction of many motivated and inspired people, which want to shape a common future and share their knowledge. A get together of visioners, initiators and implementers. Here the apparent stability of knowledge is shaken, and courage for something new is growing. A room to think, where everything is possible. The GLOBART ACADEMY is a biotop for pioneers and implementers. Here you have got the possibility to meet people which bring you forward in personality, to recognize actual and future questions, to get in contact with fascinating initiators, which motivate to put your own ideas into reality and which open up your eyes for the complexity of solution approaches and the feasibility of those. Three intense days with lectures, film presentations, interactive programs, workshops, rooms to think, walking together, eating and experiencing.